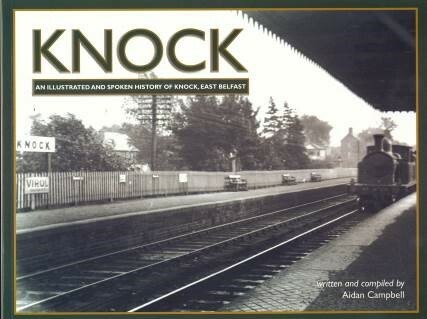 The ‘Knock’ story recounts the rural and village environment which existed in a bygone era before many grand old family homes were demolished and major road-widening schemes were introduced. The journey encompasses the A55 Upper Knockbreda dual carriageway (formerly the Hillfoot Road) from the Upper Newtownards Road to Galwally. 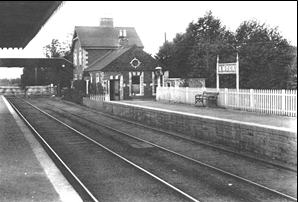 Some readers may recall the undulating Hillfoot Road, plush villas, the Belfast & County Down Railway (now Comber Greenway), Knock railway station, Miss Lynn’s wee shop, Newmarket stables, Lalghar School and Camlin’s Nursery. John Auld of the East Belfast Historical Society noted that: Past researches have indicated that prehistoric man lived in the (Knock) area around the mound in Shandon Park previously called Dundela and we know that there was a track which came from the Lagan Valley along the line of the Upper Knockbreda dual carriageway (or Hillfoot Road) via the Old Dundonald Road (now King’s Road) and through the Dundonald Gap. The reason is simple, to go further along the River Lagan meant swampy land and to go right meant hills so the more level and dry passage was used. In the 12th Century the Normans built a motte at Shandon Park at one end of a high ridge that crosses the Knock dual carriageway and at the other end a church (at Knockmount Park) with a great view of Lagan Valley and the Dundonald Gap. H. Crawford Miller painted an interesting picture of life in the area during the late 1700s in his book ‘The Church on the Stye Brae’: The people lived in a dark world lit only by candles and oil lamps. 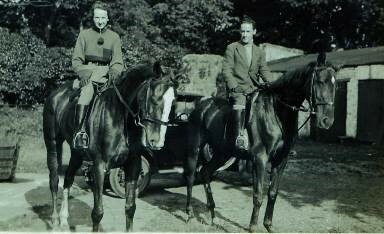 Life was harsh, being full of trials and tribulations, and death was a constant companion. Disease and fever ravaged all, especially the young, whose mortality rate was so high that two children in five would have been fortunate to reach the age of ten; hence large families were common in an effort to ensure that at least a few of the offspring would survive. Rarely did anyone travel further than a ten mile radius from their home; this was approximately the distance one could walk from home, do a day’s work and return home again in the evening. The Ordnance Survey Memoirs of Ireland, 1837 include a chapter for parishes which include Knock such as Knockbreda. This provides a glimpse of life in the area during the 1830s: The inhabitants of this part of Ireland are half Scotch in their language and manners. 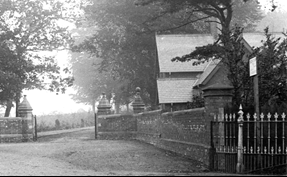 Their religion is generally of the Presbyterian and there are several meeting houses in the parish. They are generally well educated, that is, they can read and write. Their food is generally potatoes and oatmeal. Their fuel is generally coal which is imported from Scotland and Wales, there being no bog in the parish of any consequence. Coals are from 13 shillings (65p) to £1 per ton. In the townland of Knock the school master receives £25 a year from the children and £7 and 10 shillings from a subscription. The ruins of Knock Church are in the same townland and but a portion of the ruins remain to show that the building was not at any time extensive.